Michael Pryor has fundamentally changed the way we collaborate, both in and out of the workplace. Michael is the CEO at Trello, the beloved visual collaboration tool that now has more than 16 million users. Trello was born out of Fog Creek Software, a company Michael co-founded with engineer and writer Joel Spolsky, which brought us name-brand developer tools like FogBugz, Stack Overflow and most recently, HyperDev. I recently caught up with Michael about what it’s like to start and scale a mass-market product like Trello. We cover the ways Fog Creek’s previous products informed Trello, how to prioritize features for a product with such a wide array of use cases, the importance of pricing for value, and much more. If you like what you hear, check out more episodes of our podcast. You can subscribe on iTunes, Google Play, and Stitcher, or grab the RSS feed. Without the right marketing strategy, the right product released at the right time can still fail. Introducing new, abstract features into a horizontal software product comes with heavy costs, because you’ll have to teach users about the concept. Michael doesn’t see templates as the right onboarding technique for new Trello users. Rather, he’s planning to bet on crowd-sourced, community-driven use case stories. Marketing a horizontal product is hard, but there are specific use cases that offer downstream benefits, e.g. targeting HR to use Trello for onboarding new employees means every single hire gets a free lesson in Trello. It’s crucial to charge for your product, but flat rates leave a lot on the table. Your pricing scale should align with the value you give users. Des Traynor: Michael, welcome to the show. Could you talk us through your career trajectory? Fog Creek: well known. Stack Overflow: well known. Trello: well known. It’s hit after hit with you. Michael Pryor: You’re ignoring all of the mistakes that we made over the years. Des: That’s what publicity does. Michael: Back in 2000 my co-founder Joel Spolsky and I were in New York City working on an internet startup called Juneau. It was a free email service competing with AOL. At that time, if you were a programmer in New York, there were only two places you could really work: a bank or an advertising agency. There weren’t really any pure software shops in the city. So we started one. There was no one product in mind when we created the company. It was supposed to just be a place for developers to work at, and we had all these opinions about that. Joel blogged about those things on his website, joelonsoftware, for many years. Over the years we tried a lot of different projects. Certainly Stack Overflow and Trello were later, after we learned from a lot of mistakes along the way, and managed to avoid them the second time. It’s definitely been a long process. Des: The other products included FogBugz, Copilot and CityDesk. In terms of orders of magnitude is there a good distance between Trello and Stack Overflow and the rest? Michael: No, FogBugz is a pretty decent sized product. We’re selling it; we’re still working on it. We created FogBugz before JIRA even existed, and for a long time those products were pretty much neck and neck. Due to different things that Atlassian did over the years with their marketing and pricing, they really took off, but we built a really sustainable business on top of FogBugz. FogBugz remains one of Fog Creek Software’s flagship products. The other products, like CityDesk, were just the wrong product at the time. If you go back to 2000, it was really hard to do blogging. It didn’t really even exist. You could get some Movable Type scripts and install them on your web server, but you had to have shell access, and people didn’t know what that was. We had built a desktop app that was supposed to be a CMS, and that was how we were solving that problem. It turns out that SaaS was a much better way to solve that problem. CoPilot’s another great example. We had built CoPilot to help ourselves install FogBugz on our customers’ computers. We got to a point in time, this was maybe 2006-2007, where the installation process was really complicated. We would be saying to ourselves, “I wish I could just see what’s on their computer.” Screen sharing at that time didn’t really exist in a very easy format, so we built a tool that did that, which was CoPilot. It never took off as a big product, because we marketed it to the wrong audience. We marketed it to customer support reps instead of the general public. It was like the right product, the right time, the wrong marketing strategy. When we built Stack Overflow, the website, a Q&A website, we said, “Hey, this is really cool, people love it. Why don’t we take this software and then sell it to other people,” because that’s what we had been doing for 10 years. It wasn’t until we had talked to some VCs that (we realized) this was not a great idea. That would be like Facebook saying, “This worked at one school. Let’s sell the Facebook software to other people to use.” What was valuable at Stack Overflow was the network of people, not the software itself. Lo and behold, there were 50 clones a couple weeks later. Des: It’s interesting that with CoPilot it was perhaps the wrong market. 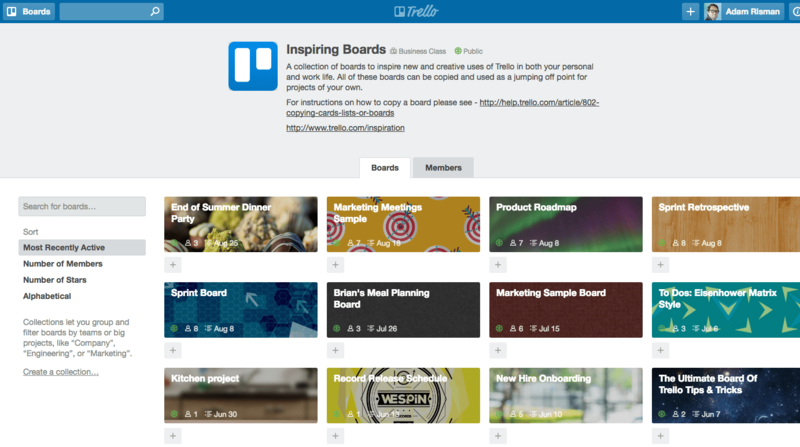 Are these the sort of lessons that fed into the success of Trello? Michael: Absolutely. When we built Trello, we had decided at the very beginning to build a horizontal tool with a market size that was going to be huge. That’s a really risky proposition. It’s hard to build a horizontal tool, but that was the goal with Trello, which was way different than what we were trying to do with FogBugz. Des: You posted recently on Hacker News your explanation of what Trello is. You’re hesitant, it seems, to be boxed into being a project management tool. Could you explain that? We had Jason Fried on recently, and he was making a similar point about Basecamp. Michael: A lot of the software that people are making for task management, they’re coming at it from this idea that if we just build some vocabulary around the way that people work, then build a data structure there and then a web app on top of it, we can allow people to give us the data. We’ll put it into our database, and then we’ll be able to tell them things. Think about the way Asana or JIRA is built, or even FogBugz or Salesforce. They have this grammar. There are, for instance, leads and customers. When you first use the tool, you have to figure that out. In the case of Asana, the vocabulary is more generic. It’s more like tasks and milestones and dependencies. That’s one way to attack a problem, and it works very well for people who are thinking about things in a very structured sort of way. The difference with Trello is that we thought of it more like the way you use Excel. If you open up a spreadsheet in Excel, it’s just blank, right? As you start to enter your data, you actually have to tell Excel what the data is – a percentage, currency, adding formulas, this cell relates to these other two. As you’re entering the data, you’re also building the model. There’s no semantic structure in Excel. You supply that. You say, “This is going to be a column. Here’s where the chart’s going to be, and the chart’s going to map these two variables.” It’s like Lego building blocks. That’s the same way we think about Trello. The metaphor for Trello is sticky notes on the whiteboard. Everyone get’s that. You get Trello immediately, because it’s so visual. You don’t have to learn a vocabulary when you get there. It’s also important that the cards in Trello are cards. They’re not tasks. Microsoft made a clone of Trello called Planner, and they call them tasks. That in and of itself isn’t a mistake, but the way they’re thinking about it is very much like, “I will create a structure, and then I will ask people for the information to put in my structure.” That works for a very specific audience, but if you’re trying to go really broad and horizontal, you have to adapt to the way that people work and let them use your tool to map the way that they’re thinking about the problem. Des: When you’re building something horizontal, you probably imagine things like, “Maybe someone will use this to plan a wedding or a home renovation. What are the more unexpected use cases you’ve seen? Michael: The wedding example is funny, because if you go and you look at competitive products, there’s always blog posts about that. “You can use JIRA to plan your wedding.” That’s just trying to say that this is a very horizontal tool you can use at home and at work. 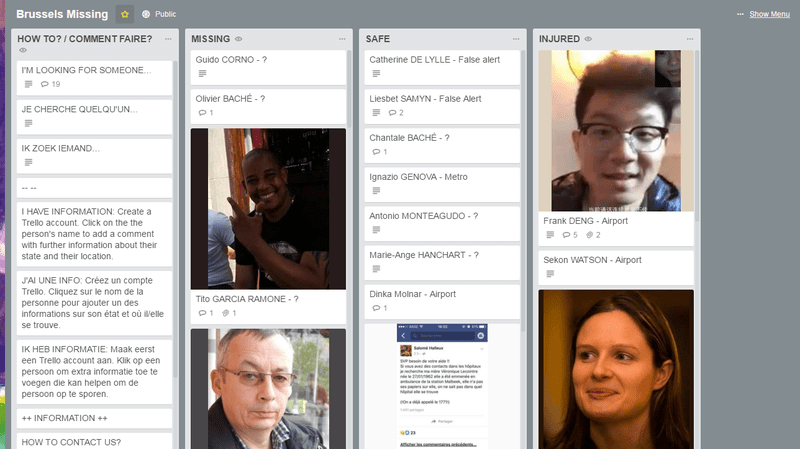 One thing that happened a long time ago that was really surprising to us was this public collaboration, where there were protests happening in Brazil, and they were using Trello to coordinate the protests. I think of Trello as a place to get everyone’s head wrapped around the same thing. That’s why you have that white board in your office. You basically have everyone there, and you’re like, “This is the status of the project.” It’s not my view of the status of the project. It’s not your view of the status of the project. We all see the same thing. That’s one of the big differences between Trello and some of the other tools to try to do this. We’re not focused on the individual. We are focused on the team’s view, in the same way that if you were out in woods and you were lost, you’d want to have your map or your GPS. You’d look down at it, and everyone would look at that to see where they were at and where they needed to go. That’s how we think about the way people use Trello. When a product is for everyone, what do you build? Des: I like the breadth you get by not being so like vertical specific. On one side you can see how it leads to insane growth that you wouldn’t get, quite simply, if you were called Trello: the ticket tracking and project management tool for startups. On the flip side, how do you prioritize features? Do you build stuff that is only useful to everyone? How do you make sure that you don’t get too drawn to the siren call of a big enterprise sales team, who wants a certain feature, and then they’ll sign up for some triple platinum plan? Michael: That’s the great question. Very early on we knew that a lot of the features people were going to ask for were going to be developer-type features, because that was our audience. That was Stack Overflow, that was Fog Creek Software. People that knew us were going to say, “This is cool. Can you add all these Kanban-type things and swim lanes and Gantt charts?” When you’re building a tool for the mass market, those things make no sense. We just weren’t building a Kanban tool. We weren’t building an Agile software development tool. We knew from the early days, if we had people asking for a feature, we had to drill down and see what their pain was. What are they trying to solve with this particular feature request? If we had people asking for a feature, we had to drill down and see what their pain was. Say a user wants to add story points to cards, and at the top of the list, they want to see the sum of all those story points, so they can understand how big the backlog is or how big the sprint is. That same request might come from a sales person to say, “Yeah, I was using Trello to keep track of my deal flow, and I had the total deal size on each card. I want the columns to show me the summary of how big my pipeline is.” The feature is really just if you put a number on a card, you add them up or average them at the top. You have to understand the horizontal use case and take a step back and listen to that first and try to figure out if you can solve it that way before you put in a very specific feature. Going back to my earlier point about vocabulary, when you introduce new abstract concepts in software, you’re taking on a lot of costs, because it means you’re going to have to teach that person what that concept is. I’ll use an example from Trello. We made a thing called Collections, where you can put boards into a collection. That’s like an abstract concept. It isn’t a thing, and currently the feature is only half implemented, because you can’t see the collection really. It doesn’t provide value in a way that’s very visual and very Trello-like. It does allow you to organize your boards, but now people have to learn what collections are. We have to teach them that. Des: When a customer signs up for Trello and lands in it the first time, much like they do with Excel they’re looking at a blank sheet and blank lists. There’s no cards anywhere. How do you help them make progress? Michael: That’s a great question. It’s something that we’re working on right now. The trick there is who is this person that showed up, right? If I show you an example of using Trello to plan your wedding, but you got married 20 years ago, it misses the mark. It’s hard to pick a specific example and target people with that. We are working on new user funnels to ask people what kinds of boards they might be interested in and then showing those types of boards as they sign up. One thing that people always ask is, “Why don’t you have templates?” Part of the problem with that is there’s not a lot of useful information that you would get from a template. It might be the names of the list, but all the cards and the card data, you’d have to start over. What is interesting is that there’s a story around a board. You see these blog posts that say, “I used Trello to do X.” They’ll say, “This is how I set it up. Here’s how it works.” We started realizing that that was really important. We’ve also done a bunch of events in person events, where we have people come and speak about how they use Trello to solve problems at their company. People love it. They love to listen to that content and hear how other people are using Trello to solve those problems. Long-term I think what we’ll do is try to figure out a way inside the product to allow you to take a board and tell that story yourself. Instead of that inspiration page being a list of boards that we’ve picked, it would be more crowd sourced and community-driven. Des: When you talked about the different sort of job-specific things people want to do, could you offer different features for those types of users? Michael: That’s always been a challenge, too. If you have a very horizontal product, how do you let people do things that are more vertical in nature? They are going to plan a wedding or they’re going to create a workflow board that does agile software development, applicant tracking for HR, or an editorial calendar for your marketing team. As you get into those boards we decided to add in a layer called Power-Ups. We have advanced functionality in Trello, but it’s sort of separate. You can turn it on per board. So when you first come to Trello you don’t have to learn about all this other stuff, but you learn what boards, cards, and lists are, and then as you become more advanced you graduate and you can turn on these Power-Ups. One is a calendar power up, for example. If you put due dates in your cards you can see them in a calendar view. We have an Intercom Power-Up, which ties us into Intercom. There’s both integrations in the Power-Ups and there’s also advanced functionality. Just recently we made all of those Power-Ups free to people to use. You used to have to pay us to use them. Now you can turn one on for any board, which is great because if you’re a developer you can actually build a Power-Up. Now you can get 16 million people to use it because those are all the Trello users you could get. Huge audience of people to use it. Then, if you want to turn on more Power-Ups, you can upgrade to our paid product. Des: 16 million users is still quite a staggering number. You’ve said you really see Trello as being a 100-million-user platform. Do you have a plan for getting to 100 million? Is it what we’re doing is working and we just need to be patient, or do you have deliberate marketing strategies that are going to really move these numbers? Michael: I think it’s both. Up until recently our marketing was almost 100% organic. It wasn’t until about a year ago that we started really focusing our marketing and hiring a marketing team. A few months ago we hired a CMO. We got to a point where the product is actually really well-received in the market. There’s a great fit. People understand what it does. We’re convinced this is a winner. The trick now is, how do you just get more people to find out about it? We could wait until people tell more and more people but we can also accelerate that a bit. Des: Your typical user is anyone. Your typical use case is kind of anything. How do you approach marketing? Do you try and break it up and find specific audiences, or are you just doing general brand marketing? Michael: One thing we did recently was a survey of what people were using Trello for. I get that question a lot, “What do people use it for?” I would say I don’t know because we don’t look at people’s data. The survey was really interesting. There’s a pie chart for all the different departments at a company (who use Trello). I would’ve thought that product and engineering would’ve been a huge piece of that pie chart. It turns out across a whole company it’s almost even for every department. Marketing, sales, engineering, product, HR, Ops, IT. They all have a slice of the pie in pretty much even amounts, which was mind-blowing to me. That’s a really good thing, but it also means that when you’re thinking about buyer personas and you’re trying to target people, it’s like now you’ve got eight. Des: You know what’s interesting, that’s exactly what I’d say about whiteboards too. Michael: Yeah, it’s like if you were in charge of marketing Excel. It’s a little tricky and harder, because the audience is so broad. There are specific places we can target that have a lot of really good downstream effects for us. For example, if we get HR people to use Trello for onboarding new employees then that means that at any given company every single new employee gets a free lesson in Trello. Des: Every company has Excel at this point, almost in spite of seeing the advertisements from them. I’m sure at some point they have to do a lot more specific demand generation along the way. Michael: In our case we’re trying to create a new market segment. Think about Trello as this hub of where you go to see what’s going on in all these different things, the different tool sets that you use. Your sales team has their own tool set, Salesforce. Your marketing team has theirs. Managers want to use something that’s very easy to communicate across the company. Trello can provide that center for all those different products. Des: You mentioned when you surveyed for use cases you saw equal distribution across most functions at a company. Did you split company use cases from individual and consumer use cases? Michael: We did also look at that. Basically the split was about 50-50, more towards business. There was overlap too. We asked, “Do you use it for business, do you use it for personal, or do you use it for both?” It’s not a huge percentage of people that use Trello just for personal. A lot of people use it for just business and even more use it for both work and home. Des: 100 million users kind of leads me to my next question, which is how do you all make money on that? Is Business Class the thinking for monetization? Michael: When we first launched TechCrunch Disrupt, Joel went on stage and said, “The business plan here is to get 100 million people. It’ll be free, but we’ll find 1% of those people that are using the product getting a ton of value, and we’ll charge those people $100 a year. Multiply the numbers, and you get $100 million business.” I actually think now that’s probably small. 1% is probably too low, and $100 a year is a little bit too low. I think $100 million is a little bit too low. It does, however, describe how large the market for this kind of tool is. Des: Like us, you kicked off your pricing at a flat fee of maybe $200 a year. At Intercom we were effectively paying $200 a year for something that nearly mission critical for multiple teams. Michael: That was the biggest mistake that we ever made. Didn’t you guys do that, too? We started at $50 per month. You could be Adidas or you could be two people in a shed having just started your first company. We were charging you 50 bucks. What that did do genuinely was cut a lot of the “never going to pay anyway” type of customers. It gave us a bit of clarity. What did you see in your own similar experience? Michael: We were solely focused on the product at that time. We were trying to build out the product we were making, taking the profits from FogBugz. Trello was still inside Fog Creek. We were investing in ourselves – you can think of it as we did the seed round. We weren’t too worried about the monetization. We knew that that was going to come, but we started to see people were afraid to use Trello because they were like, “There’s no way to pay for it.” They’re just going to shut down. We then started arguing about the pricing. It’s a collaboration tool. Can you charge per user? That inhibits the growth (at that time). We went around and around. Joel finally said, “It doesn’t matter. We just need to pick something, so we should do this flat rate because people will pay for it.” He was right. It was a good solution for that moment in time. We left it for way too long before coming back to it. That was the problem. You want to align your pricing with the value you give people. We settled on per-user pricing eventually because that was just understood by a lot of people. We weren’t going to invent a funky pricing scheme based on the number of boards or lists or cards. You want to align your pricing with the value that you give people. Bigger companies pay more and smaller companies pay less. That’s one axis that we have, and we have different plans. If you’re just a solo user you can use Trello Gold, which is for superfans of Trello. For business-type use we have Business Class. For large organizations we have enterprise version of Trello that has enterprise-type features. In the future I could see a world in which you’re basically solving a very specific use case with a board by turning on a couple Power-Ups and essentially turning Trello into a lightweight CRM, or maybe a lightweight applicant tracking system. There would be a Power-Up that does that and maybe you pay extra for that. There are a lot of different axes that we can do. We’re expanding with that and learning. Des: Would you consider specific revenue share with Power-Up developers? Michael: I’m open to that. 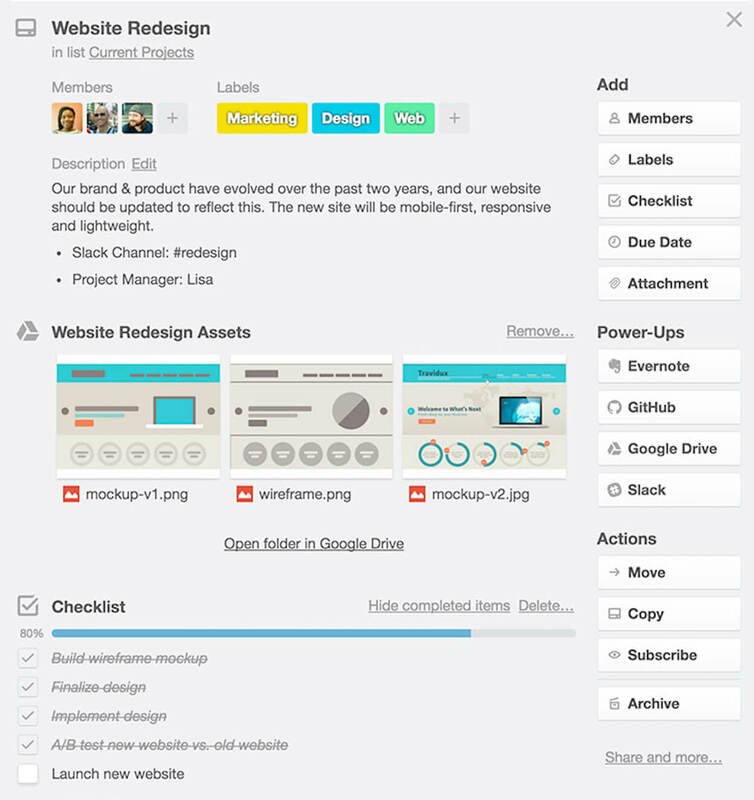 There’s already people building tools on top of Trello and charging for those tools. We don’t collect the money. People go to the other website and sign up for that. I already see a market for that kind of thing. Des: If you could roll back and have this pricing pattern from the start, would yo do it? Michael: I don’t know that I would’ve done the flat rate thing. I would’ve skipped that. We’ve raised our price a couple times and learned things. We also did a thing that Slack did – we call it smart billing they call it fair billing – where if you’re not using the product, we stop charging you for the person automatically. We did that a year ago, and it’s been a burden. It just makes our recurring revenue look really weird. People get all these 4 cent charges or credits. It creates a lot of confusion. It turns out that most people don’t really care too much about this. Des: I’ve always thought it’s clever to have smart billing or fair billing. It’s a marketing solution to a participation tax problem. Michael: That was the idea, that if you say this to people then they’ll just add everyone in their company and not think about it. It turns out that I don’t see that actually happening in the numbers that much. We’re seeing a lot more cost associated with it instead of the perceived benefit. Des: I can imagine there’s all sorts of messy complexity in your billing logic there, where you’re charging people for partial prorated months, because they logged in and clicked a link or something. Michael: Yeah, it’s very confusing to them, and it’s confusing to us. If I went back in time that’s another thing I probably would do differently. Des: I’m curious about is just the sort of the DNA of Fog Creek itself. FogBugz is the lion’s share of Fog Creek’s revenue, but you still have Kiln and recently launched HyperDev. You’ve obviously spun out two successfully. Do you think the spinning out model works? Do you ever see FogBugz getting out of Fog Creek, or is that the one anchor? 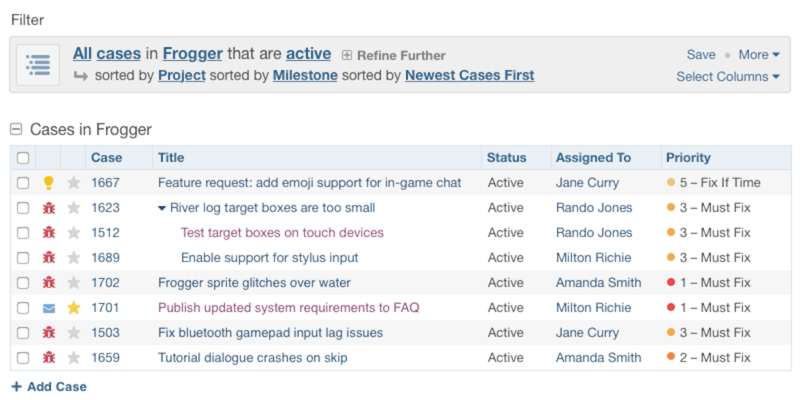 Just like Trello, Stack Overflow was spun out of Fog Creek Software. Michael: It does work. It can work for companies that VCs are interested in. If you’re just making a bunch of cash, that’s not as interesting to VCs. They just really want growth, growth, and growth. Joel and I are kind of busy at the moment, so spinning off new things is not really on the radar. Des: How do you manage to split your time? Have you effectively left the GM behind you at Fog Creek, or is it a by night, by day Jack Dorsey-type of thing? Michael: There are a couple managers there and we’re meeting with them every two weeks and splitting out time. Most of my time’s spent on Trello and Joel’s been mostly focused on Stack Overflow. It changes depending on the season. It’s not the most ideal situation, but it’s working currently. Des: If Fog Creek continues to produce new products, are you optimistic that for the near future they’ll be able to be looked after internally rather than doing yet another Series A or you taking yet another CEO position? Michael: That this is what we’ve been doing for 16 years, right? Building products. Some of them fail and some of them succeed. Now we’ve got a couple that are doing pretty well. There are so many things that are working that it’s requiring a lot of time to manage. That’s a good problem to have and it’s something I’m happy with. It’s not going to stop us from iterating and building new things because that’s the whole reason that we started the company. The whole reason we started Fog Creek was to provide a great place for developers to work and build cool things. We’re just going to keep doing that. Des: Michael, it’s been an absolute pleasure. Thank you so much for joining us. Michael: Thank you so much for having me.